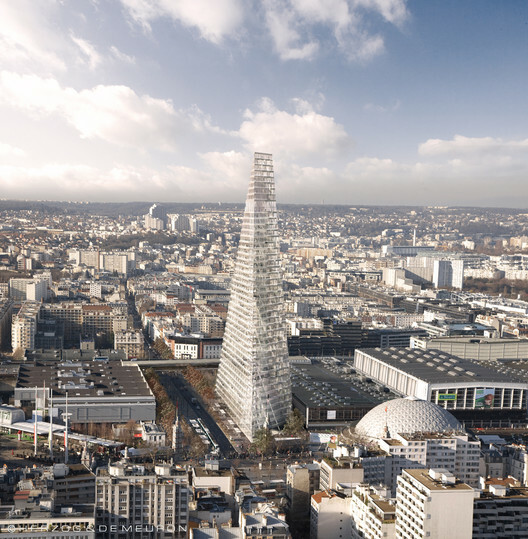 The City of Paris has approved to move forward with the construction of its first tower in over 40 years. 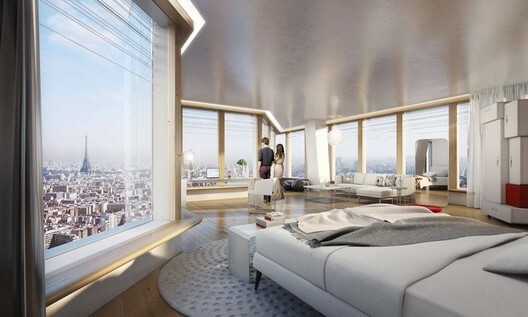 The city council recently agreed to allow the construction of Herzog & de Meuron’s 180-meter-tall “Triangle Tower” — also known as the “Tour Triangle” — after originally rejecting the proposal in 2014. The controversial plans for the skyscraper have been the center of an intense debate since its first unveiling in 2008 on the basis of whether or not Paris should preserve its 19-century-era skyline. Technology website Gizmodo reported that the Swiss architects sold the skyscraper to Paris under the claim that its glass façade will “disappear” into the city’s existing skyline.